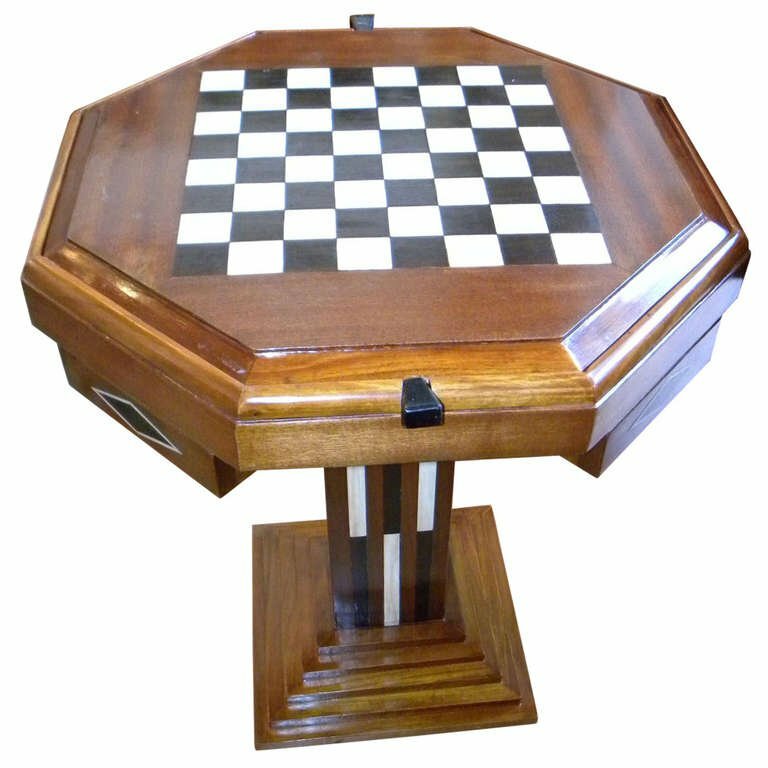 Beautiful art deco game table in mahogany wood octagon table top (rounded edges) on a wonderful inlayed column with a very significant stepped base. (easy to get any legs under this table). 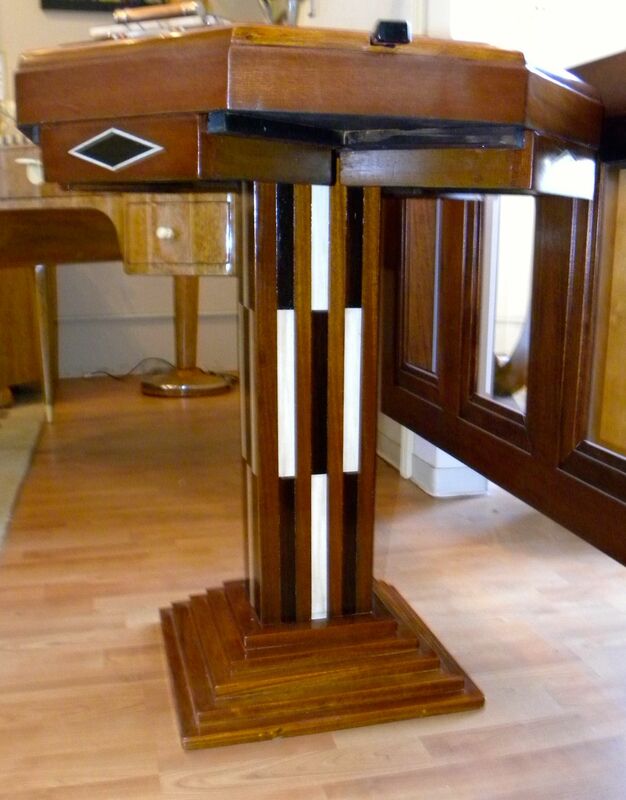 The inlay on the base and boards some “real” ivory and some beautiful woods, with slight patina. 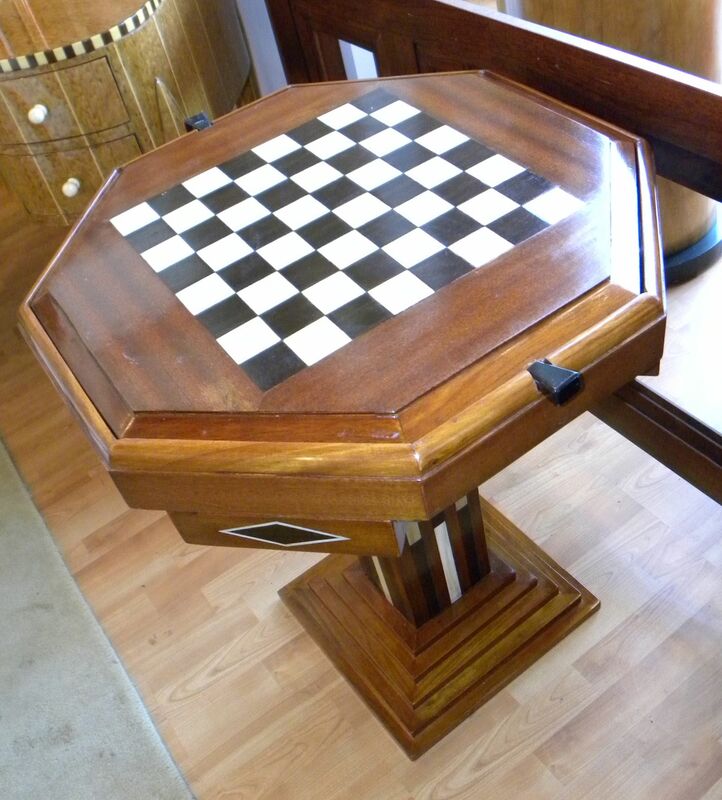 The top has one side for chess and the other with a felt top for playing cards. 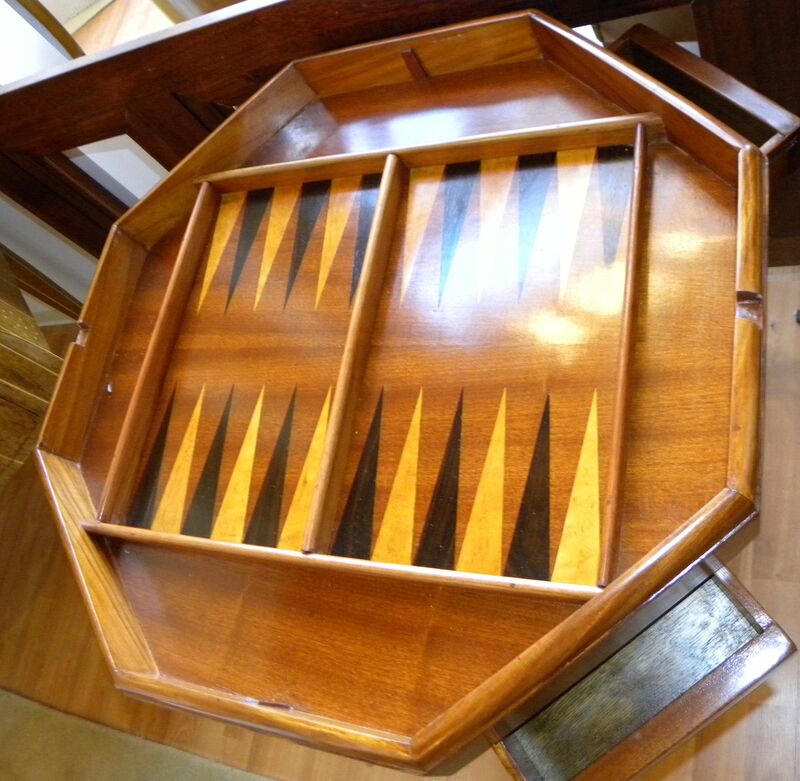 if you remove the top, you will find a wonderful backgammon board. 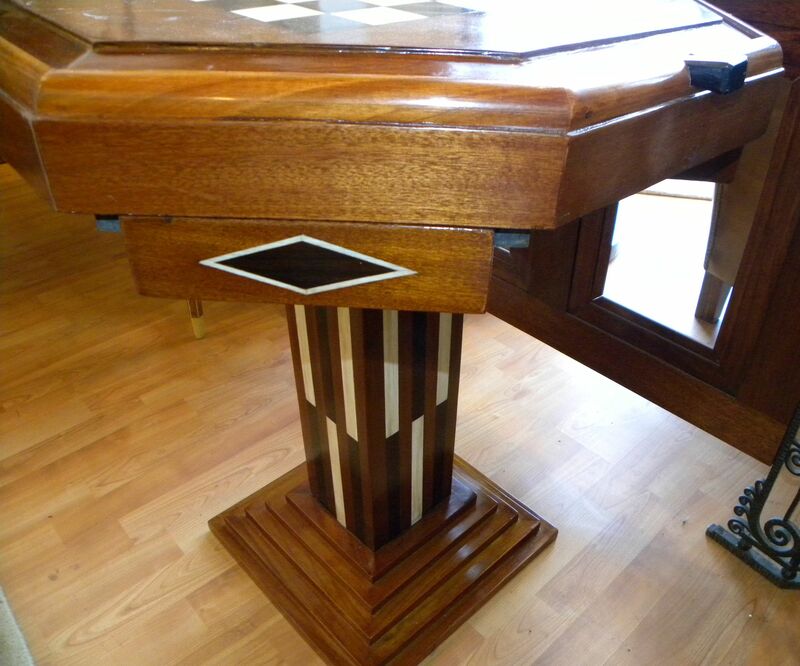 Custom Art Deco game table, made for our shop, but what a table! Let me point out some features I think are very important. 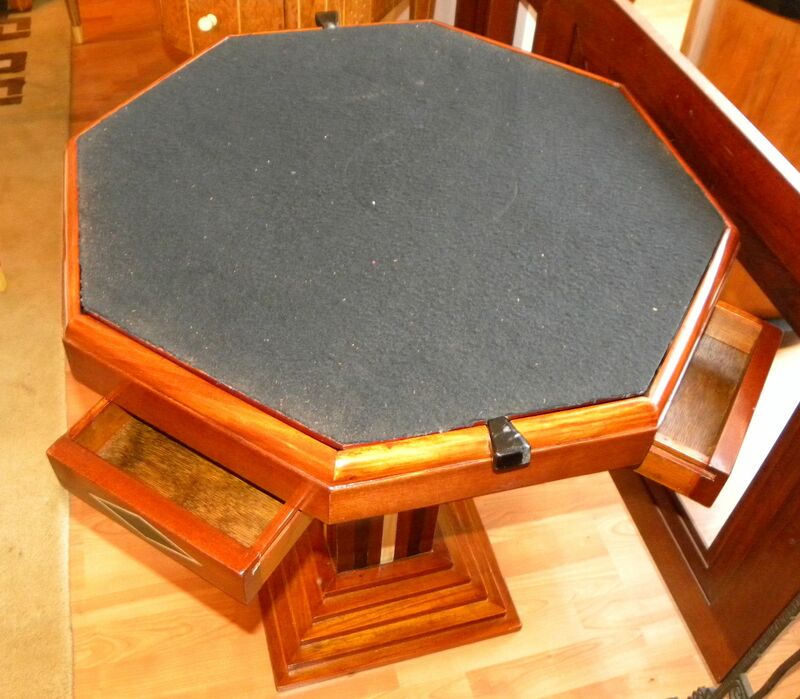 There are 4 inlayed separate trays evenly spread out on all sides of the table. These could be used for chips, games pieces or cocktails. 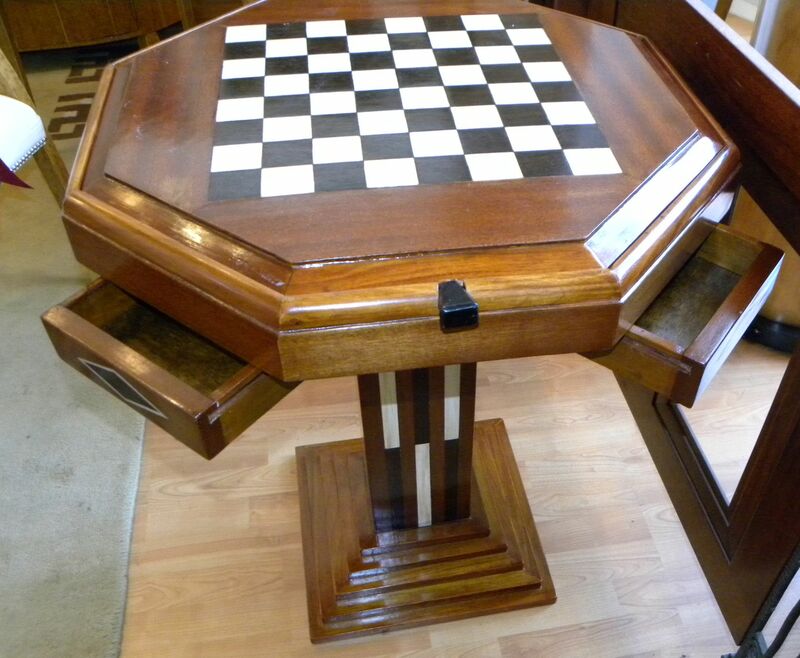 This is a table that is screaming to be used, enjoyed and appreciated. 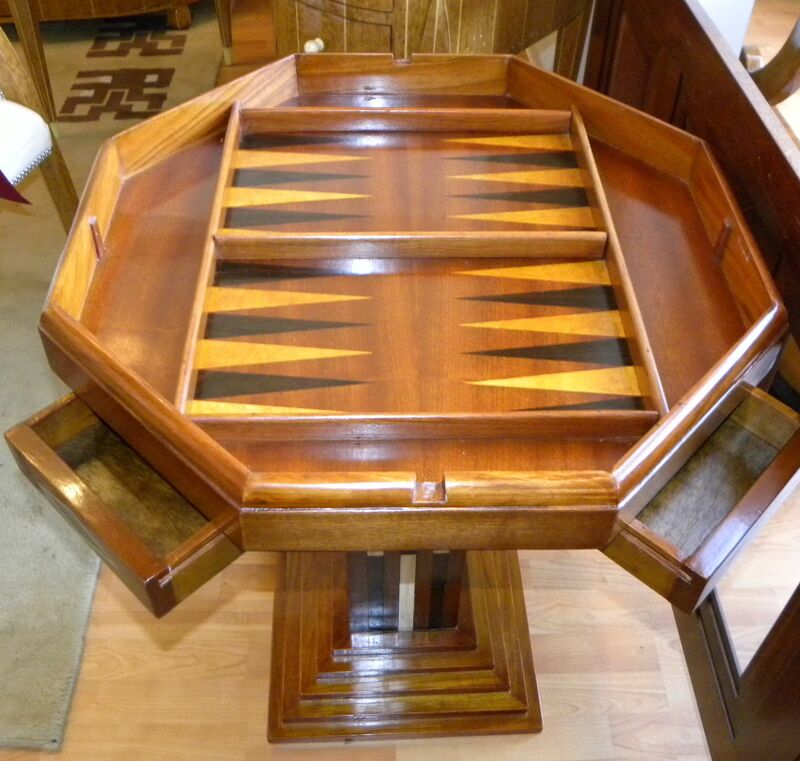 What a wonderful piece of furniture. Very unique and taken from an original piece with all the earmarks of an outstanding design. Use the buttons above to share this page on social media. Use the buttons below to visit our social sites and follow/like us.